Non-Syndromic Congenital Bilateral Submandibular Gland Aplasia and Bilateral Parotid Gland Hypoplasia in Child Patient: Report of a Rare Case. International Journal of Health Sciences and Research (IJHSR). 2015; 5(5): 486-489. National Journal of Medical Research. 2013; 3(1): 103-103. Intraoperative Use of C-Arm Machine to Evaluate Bone Surgical Margin of Resected Mandible Specimen. International Journal of Health Sciences and Research (IJHSR). 2015; 5(4): 338-340. “Lateral Orbital Rim Osteotomy-Approach” For Management of Blow-in Fracture of Lateral Orbit Wall Causing Visual and Ocular Motility Disturbances: Report of Two Cases. International Journal of Health Sciences and Research (IJHSR). 2015; 5(3): 408-413. Journal of Applied Pharmaceutical Science. 2016; 6(10): 063-067. National Journal of Medical Research. 2013; 3(4): 350-352. National Journal of Integrated Research in Medicine. 2013; 4(5): 60-64. National Journal of Medical Research. 2012; 2(4): 523-525.
International Journal of Medical Science and Public Health. 2013; 2(2): 475-475. National Journal of Integrated Research in Medicine. 2013; 4(5): 106-108.
International Journal of Medical Science and Public Health. 2013; 2(2): 290-292.
International Journal of Medical Science and Public Health. 2013; 2(2): 472-474. National Journal of Medical Research. 2015; 5(2): 161-162. Journal of Experimental and Integrative Medicine. 2012; 2(4): 331-336.
International Journal of Medical Science and Public Health. 2013; 2(2): 456-458. National Journal of Medical Research. 2015; 5(3): 262-264. Correlation of Abnormal Umbilical Artery and Fetal Middle Cerebral Artery S/D Ratios with Oligohydramnios and Pre-Eclampsia and Its Role in Predicting Intrauterine Growth Restriction (IUGR). International Journal of Health Sciences and Research (IJHSR). 2014; 4(12): 127-132. Online Journal of Otolaryngology. 2014; 4(2): 135-138.
International Journal of Clinical and Biomedical Research. 2017; 3(4): 72-73. National Journal of Medical Research. 2014; 4(4): 349-353. Role of MRI In Various Wrist Joint Pathologies. International Journal of Health Sciences and Research (IJHSR). 2015; 5(9): 134-139. National Journal of Medical Research. 2015; 5(4): 300-304.
International Journal of Clinical and Biomedical Research. 2018; 4(1): 29-31. National Journal of Community Medicine. 2015; 6(3): 449-451. National Journal of Community Medicine. 2014; 5(4): 474-479. National Journal of Medical Research. 2012; 2(4): 518-519. Can A Single 10 Minutes’ Session Of Meditation Be Useful For Reducing Blood Pressure? National Journal of Integrated Research in Medicine. 2016; 7(4): 73-77. Unilateral High Origin of Profunda Femoris and Variation of Its Branching. International Journal of Health Sciences and Research (IJHSR). 2015; 5(3): 394-397. Study of MRI Features of Avascular Necrosis of Femoral Head and to Study Association of Bone Marrow Edema and Hip Joint Effusion with Avascular Necrosis. International Journal of Health Sciences and Research (IJHSR). 2015; 5(2): 116-122. The Southeast Asian Journal of Case Report and Review. 2013; 2(3): 154-158. Veterinary World. 2010; 3(3): 115-117. National Journal of Physiology, Pharmacy and Pharmacology. 2013; 3(1): 87-91. National Journal of Medical Research. 2015; 5(1): 91-92.
International Journal of Medical Research & Health Sciences. 2012; 1(1): 7-12. National Journal of Community Medicine. 2016; 7(1): 1-4. National Journal of Community Medicine. 2016; 7(7): 624-626. A Large Sincipital Frontonasal Meningo-Encephalocoele: A Case Report. International Journal of Health Sciences and Research (IJHSR). 2015; 5(8): 663-666. National Journal of Integrated Research in Medicine. 2015; 6(1): 17-20. National Journal of Integrated Research in Medicine. 2010; 1(1): 25-29. National Journal of Medical Research. 2013; 3(1): 88-89.
International Journal of Clinical and Biomedical Research. 2018; 4(4): 13-16.
International Journal of Reproduction, Contraception, Obstetrics and Gynecology. 2015; 4(1): 109-112. Emirates Journal of Food and Agriculture. 2010; 22(5): 406-411.
International Journal of Medical Science and Public Health. 2013; 2(3): 609-612. National Journal of Medical Research. 2016; 6(1): 51-53.
International Journal of Reproduction, Contraception, Obstetrics and Gynecology. 2016; 5(11): 3731-3735. National Journal of Physiology, Pharmacy and Pharmacology. 2014; 4(1): 4-8. National Journal of Community Medicine. 2017; 8(1): 22-25.
International Journal of Medical Science and Public Health. 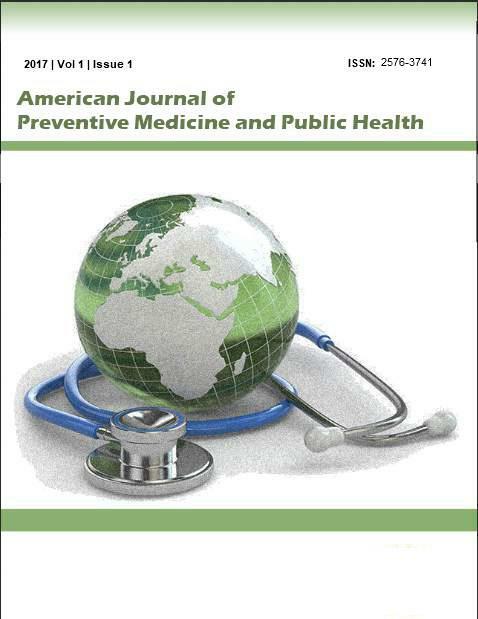 2013; 2(4): 1133-1134.
International Journal of Community Medicine and Public Health. 2016; 3(9): 2601-2604.
International Journal of Community Medicine and Public Health. 2016; 3(12): 3564-3569.
International Journal of Community Medicine and Public Health. 2016; 3(12): 3403-3407. ESBL- A Great Concern in Urinary Tract Infections in Tertiary Care Hospital, Indore. International Journal of Health Sciences and Research (IJHSR). 2015; 5(8): 217-223.
International Journal of Contemporary Pediatrics. 2016; 3(1): 291-293.
International Journal of Contemporary Pediatrics. 2015; 2(4): 456-458.
International Journal of Research in Medical Sciences. 2016; 4(2): 482-485.
International Journal of Research in Medical Sciences. 2016; 4(8): 3211-3218.
International Surgery Journal. 2016; 3(4): 2087-2091.
International Journal of Community Medicine and Public Health. 2016; 3(9): 2373-2376. Journal of Contemporary Medical Education. 2015; 3(4): 150-154.
International Journal of Research in Medical Sciences. 2015; 3(6): 1484-1487.
International Journal of Medical Research & Health Sciences. 2013; 2(4): 1009-1012. National Journal of Clinical Anatomy. 2013; 2(3): 128-133.
International Journal of Reproduction, Contraception, Obstetrics and Gynecology. 2015; 4(5): 1581-1584.
International Journal of Medical Science and Public Health. 2013; 2(2): 287-289.
International Surgery Journal. 2015; 2(1): 1-7.
International Journal of Basic & Clinical Pharmacology. 2014; 3(5): 764-767.
International Journal of Reproduction, Contraception, Obstetrics and Gynecology. 2016; 5(1): 255-257. National Journal of Clinical Anatomy. 2016; 5(2): 97-99.
International Journal of Research in Medical Sciences. 2015; 3(1): 77-82.
International Journal of Contemporary Pediatrics. 2014; 1(3): 190-192. Journal of Applied Pharmaceutical Science. 2017; 7(7): 89-97.
International Journal of Contemporary Pediatrics. 2016; 3(1): 1-7. National Journal of Integrated Research in Medicine. 2014; 5(3): 71-75. Unusual Presentation of Tuberculoma: A Case Report. International Journal of Health Sciences and Research (IJHSR). 2016; 6(11): 287-290. National Journal of Integrated Research in Medicine. 2016; 7(1): 127-129. Journal of Anatomical Sciences. 2015; 23(1): 14-16. Veterinary World. 2011; 4(11): 515-516.
International Journal of Current Research and Review. 2015; 7(10): 55-60. The Southeast Asian Journal of Case Report and Review. 2015; 4(2): 1538-1543. Journal Of Advance Researches In Medical Sciences ( Formerly Journal of Advance Researches in Biological Sciences). 2014; 6(1): 86-89. Case Study and Case Report. 2016; 6(4): 108-111. Veterinary World. 2011; 4(5): 230-233.
International Journal of Medical Science and Public Health. 2014; 3(2): 215-218. The Southeast Asian Journal of Case Report and Review. 2015; 4(3): 1797-1803. National Journal of Integrated Research in Medicine. 2015; 6(5): 112-114. The Southeast Asian Journal of Case Report and Review. 2013; 2(1): 89-93. Determinants of Breast Feeding Practices and Nutritional Status of Infants Under Six Months in A Rural MCH Clinic of Hooghly District, West Bengal. International Journal of Health Sciences and Research (IJHSR). 2015; 5(5): 54-59. The Southeast Asian Journal of Case Report and Review. 2016; 5(4): 2397-2398. Online Journal of Otolaryngology. 2015; 5(4): 121-125. Prevalence and Determinants of Gastro-Intestinal Disorder among Hostel Resident of a Medical College of Central India. International Journal of Health Sciences and Research (IJHSR). 2016; 6(2): 30-36. Multiple Midlines Intracranial Germinomas: A Case Report and Review of Literature. International Journal of Health Sciences and Research (IJHSR). 2015; 5(2): 418-423. National Journal of Community Medicine. 2014; 5(3): 316-320.
International Journal of Contemporary Pediatrics. 2016; 3(3): 1032-1036. Journal of Research and Education in Indian Medicine (Estt.1982). 2014; 20(4): 0-0. National Journal of Community Medicine. 2014; 5(4): 392-396.